Know that Villa Solana's sound experience ensures your new neighborhood has everything you'll ever need- water, drainage, telephone, cable TV, and internet connection. As well as convenient access to schools, churches, hospitals, shopping malls, and the SRP Coastal Road. 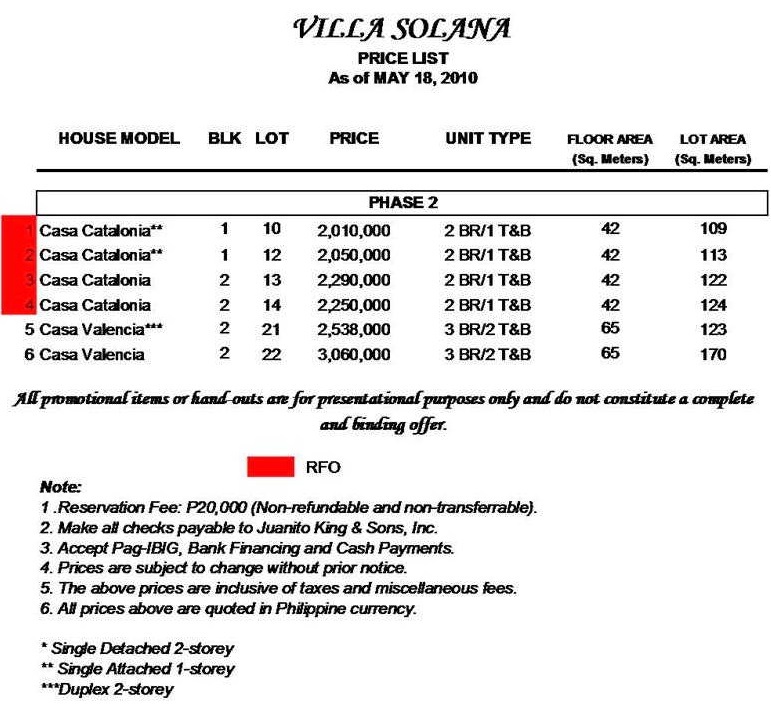 Please mention "Villa Solana Consolacion" with your comment in the comment box when you have inquiry.